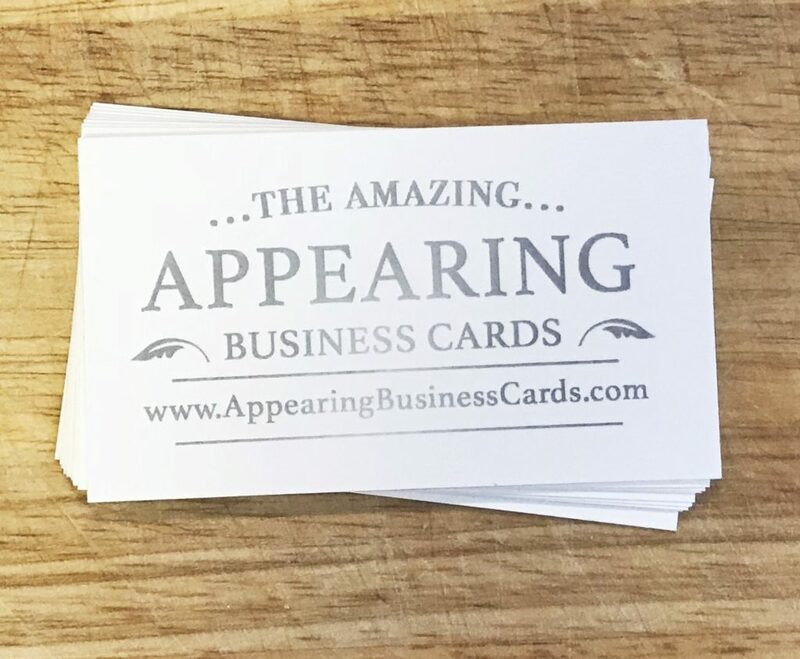 For $15 you get 36 specially printed business cards. With 12 different reveals you get three of each. They come wrapped in brown paper and tied with a small piece of brown twine. These amazing “appearing” cards have different packs that you can buy. The one that I got is the Prediction Pack, which will be discussed below. The other packs have different reveals. The Card Reveal Pack has 12 different playing cards, the Celebrity Pack has 12 different celebrities, the City Pack has the names of 12 different cities and the Nice Pack has just the word “Nice” written on all the cards. The effect is pretty simple. You give a spectator a blank card and they can see there is no writing on it on both sides. At the appropriate time, you ask them to turn over the card and the reveal is there written in a grayish ink. You can also have your spectator stare at the card and watch as the prediction slowly materializes. The speed at which the words appear depend on the room temperature, if the card is being held or if it is placed on a cold table. This is a great way to end a trick or hand someone an appearing prediction. The cards are pre-printed and the font makes it look like handwriting. With the cards you get a 7 minute instructional video taught by the creator. Although the production quality of the video and audio is poor, it doesn’t really matter because the trick is so simple to learn and perform. Anyone can do this. So, it is true that there is a temperature issue, as alluded to in the ad copy, but what you need to buy is cheap and available easily on the internet or skiing supply shops. I am not sure there are 3 copies of each reveal because I think the cards will last for a very long time. I would rather have had 36 different cards and 12 in triplicate. Truth be told is that I have used these cards but only tested one about a dozen times and it still works. I don’t know if the scientific magic fades, but if it does, these cards are cheap enough to buy more. You are warned not to leave the cards out in direct sunlight or burn them. Getting to the Prediction Pack, you have nine different words which are used in conjunction with a very awesome magic app that you need to buy separately. Of course, the app is not inexpensive and you should own it before buying these cards. You also get three different playing card reveals to be used in a way totally different that the NOTECARDS words (if you Wiki people know what I mean). I use these and enjoy them very much. The cards are incredibly fantastically neat and I can’t really think of any type of spectator that won’t be thrilled by these cards. 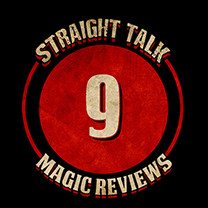 Thanks to Murphy’s Magic for providing these cards so I could review them.